Are debt problems in the United States related to poor math skills? Americans are not good at managing money. Teach Kids Money-Management, Not Just Abstract Math discusses Americans and finances. In general, Americans are not financially literate. Only a small percentage of Americans had an emergency fund that could last three months. A majority of Americans continue to live paycheck to paycheck. The problem, Americans do not know how to properly manage money. Children need to be given financial literacy classes over basic math courses. This will resolve the American epidemic of being financially illiterate. Otherwise, we will continue to have many Americans in large amounts of debt. We need savings for emergencies. Americans should not solely depend on Social Security benefits upon retirement. Consumers spent more money than they earned before the recession in 2008. 39% of adults in America had enough saved to cover three months of expenses. 48% said they could spend $400 on an emergency. This was without borrowing money or selling something they owned. A 2015 survey by the Employee Research Institute, found that 26% of American workers ages 45 to 54 have not started putting money away for retirement. Making them more susceptible to problems caused by economic weakness. Similar to the 21st century recession. There are a number of free tools and resources that can help you teach your kids about money. The Toddlers to Teens: Raising Financially Responsible Kids e-book provides age-appropriate information (from three years to 16 and up). Also, activities for talking to children about money. Have your child help you find ways to save at the store. Use coupons or purchase the best deal. Have them assist with banking transactions when they get older. Let children manage their own money. Americans spend more than they earn. Most are not able to cover emergency costs. The key to financial literacy is teaching skills early. 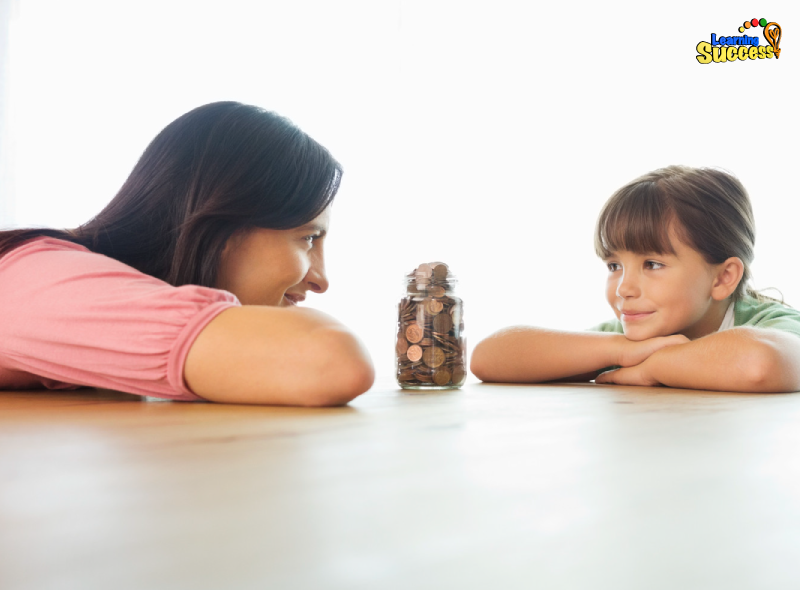 Teach kids money management skills in real world scenarios. Money-Management Skills Improve American Economy by author Christina Pontisso talks about the 2008 financial crisis. Americans were going into debt month after month. They were putting themselves in a financial disaster. Then the nation fell into one of the worst recessions in history. Senior Economist for the Credit Union National Association, Perc Pineda said, "Citizens who are financially literate will have better coping mechanisms when faced with an economic slowdown." Adults are unable to manage money. 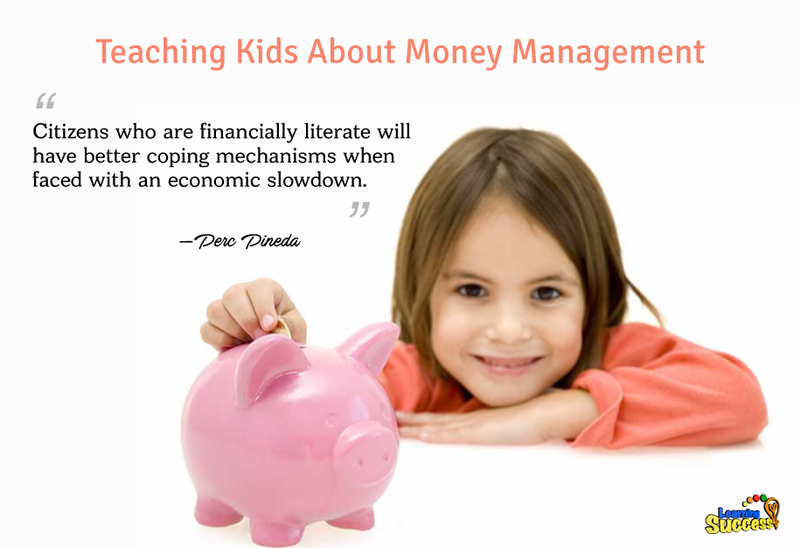 Therefore, children are not receiving money management skills. Americans are saving too little and spending too much. The result, a population that is unable to deal with a financial expense. We need to prepare the next generation. Children should receive early education with real-world examples and consequences. If you or someone you know is having difficulty with school, then you’ll want to try our free assessment. Learn how to get to the root of the problem. Find out which micro-skills need strengthening to increase learning ability. Take our assessment by clicking here. Do You Need help with a Dyscalculia Difficulty? Our simple online analysis will help you get to the core of the problem and find the right solution for you. Understanding how to help someone with a learning difficulty starts with understanding which micro-skills are affected. When you learn which of the micro-skills is the problem, you will then be on your way to solving it. You can get this analysis for free by filling out this simple form. This will help you get to the bottom of a learning difficulty and provide you with a solution. If you are ready to put this problem behind you click the button below and fill out the form. Does third grade lead to brain changes?